This wooden display stand is the perfect way to display your collectible plates or plaques! This wooden display stand is the perfect way to display your collectible plates or plaques! Measuring 5 1/2 inches tall by 3 1/2 inches wide, it is the perfect compliment to that cherished piece you want displayed on a display shelf, wall cabinet, or fireplace mantle! 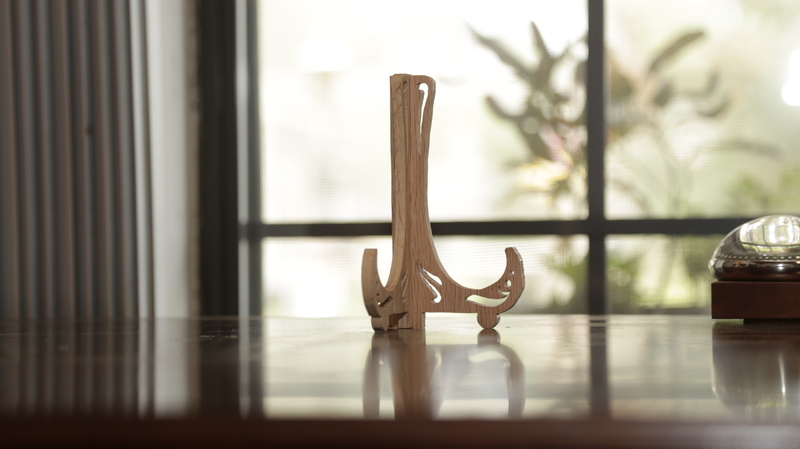 The display stand is entirely made out of wood, and is delicate looking while still being sturdy enough to display your cherished items. Pair it with our Mother’s Day Plate, or “I’ll Love You Forever” plate for the perfect gift! !